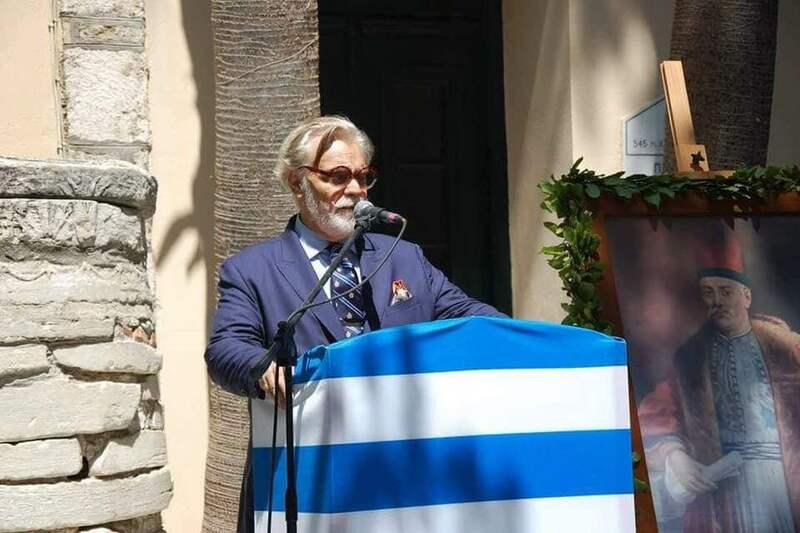 The President of the Hellenic Community of Greater Montreal Nicholas T. Pagonis was invited to Samos as a guest of Mayor Michael Angelopoulos to attend the festivities for the Feast of Transfiguration and the 194th anniversary of the Battle of Mycale. The festivities began on Sunday, August 5, 2018. In the church of Metamorphosis tou Sotiros in Pythagorio, the Archbishop of Samos and Ikaria, His Eminence Eusebius presided at Vespers, accompanied by the Archbishop of Veroia and Naoussis, His Eminence Panteleimonas and the Archbishop of Zimon and Neurokopi, His Eminence Ierotheos. There was a procession of the Holy Image accompanied by the “Vathilos – Antonios Gerohristodoulou” philharmonic orchestra and the representation of the Battle of Mycale at the port of Pythagorion with impressive fireworks. 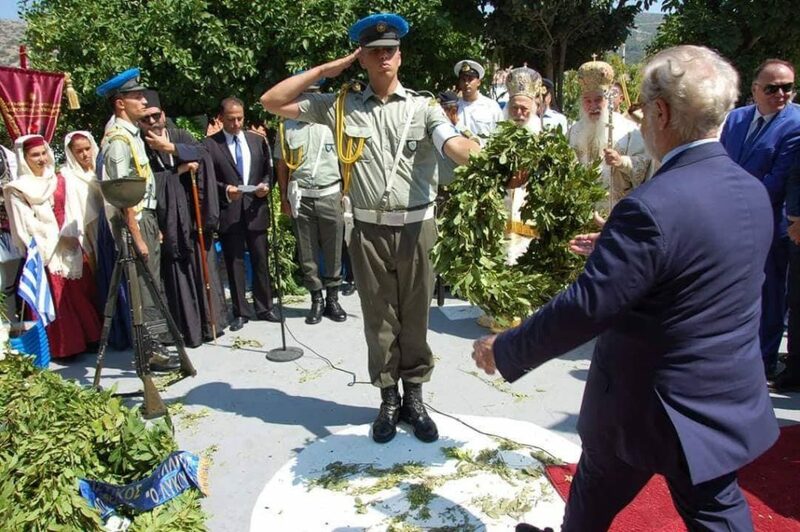 On Monday, August 6, there was an official Flag Ceremony in Pythagorio Port with the participation of the Department of Honor and Military Music. 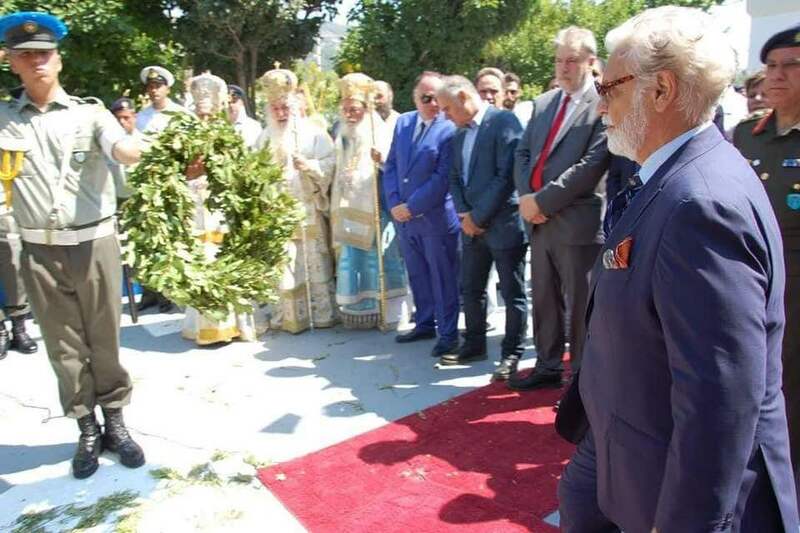 Official praise was given in the Church of Metamorphosis tou Sotiros; then there was the panegyric of the day, the memorial service and the wreath to the statue of Lykourgos Logothetis from Greek officials, including the HCGM President. Speeches followed by the Mayor of Samos and the HCGM President, who referred to the constructive relationship that has developed between the HCGM and the Municipality of Samos after the Mayor’s visit to Montreal, the head of a large-scale mission, a few months ago. The President also stressed the need for two-way communication between Greece and the Diaspora. There were Greek dances from dance groups at Eirini Square with live music and a gift exchange which took place between the Municipality of Samos, the Cultural Association of Pythagorion “Lykourgos” and HCGM President Nicholas T. Pagonis.